Create a string of beautifully colourful and unique Christmas trees that will brighten up any room. While the grownups pop the champagne, the kids can pop their pom-pom poppers this Christmas! They are super fun to to make and even more fun to play with! Decorate your own little Christmas tree. Recommended for ages 18 months to 6 years. Design and create your own stamps and make beautiful wrapping paper along with a pretty bow for someone special. 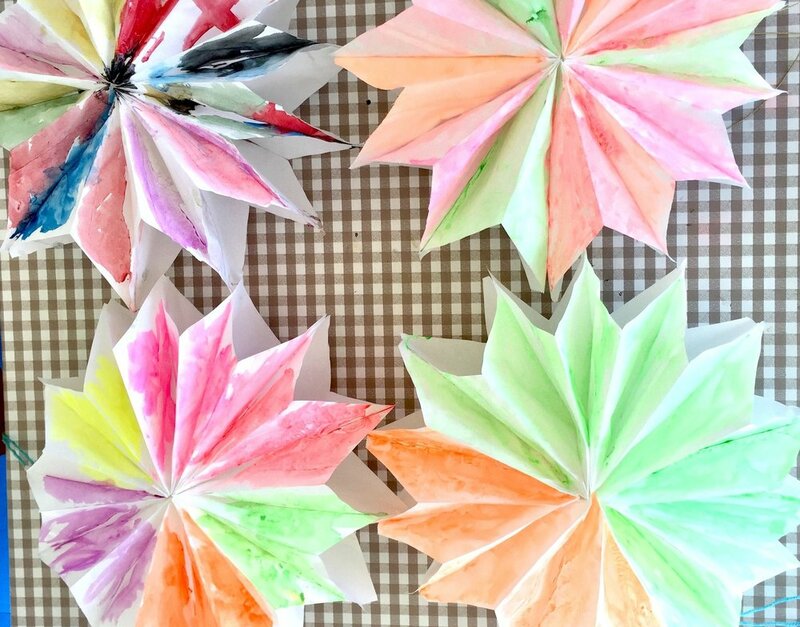 This craft has a WOW effect - you start with simple paper bags and end off with a beautiful star to put on the Christmas tree or hang in your room. With this fun Santa mask you won’t be able to resist saying ‘Ho Ho Ho’. In this craft you get to design your own Christmas stamps and create a beautiful banner to hang next to the Christmas tree. Keep a stack of blank A6 cards (or thick white paper that can fold into a card) handy and encourage the early finishers to create a beautiful Christmas card for a loved one.